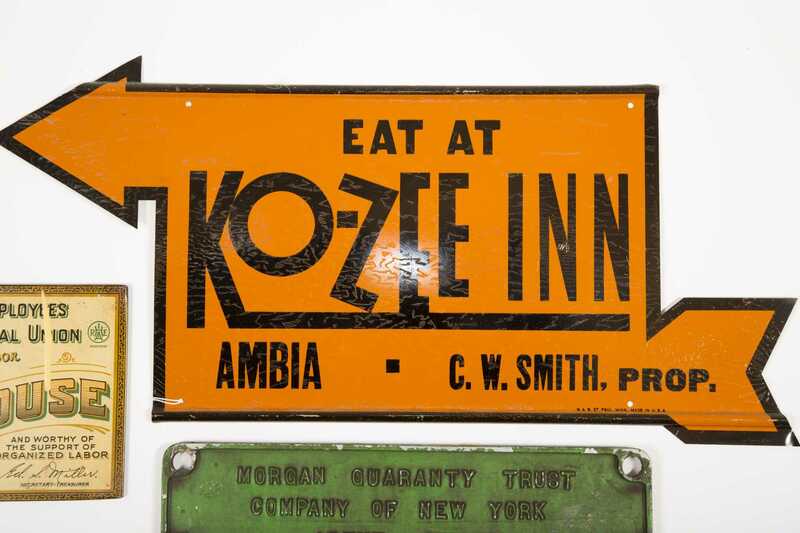 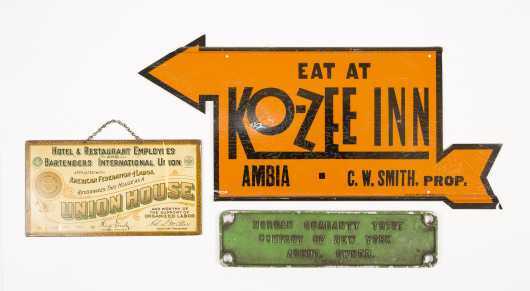 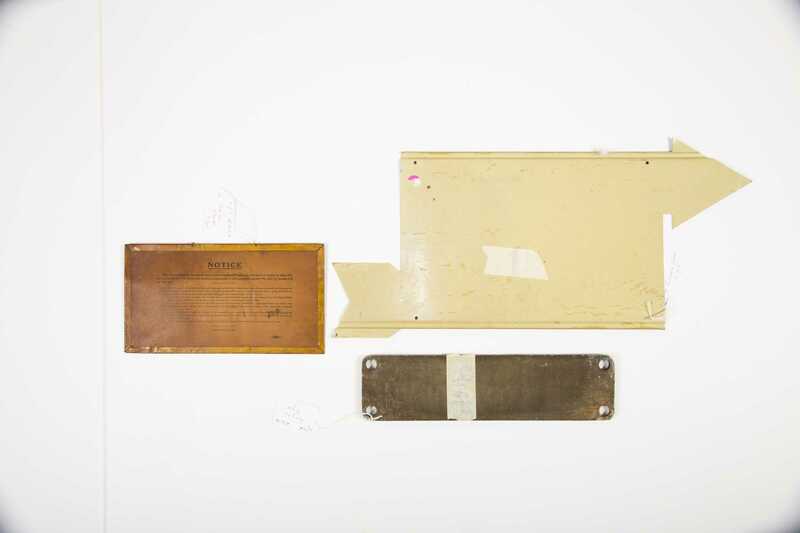 Three Miscellaneous Signs, A) "Eat at Ko-Zee Inn" directional sign, 10 1/2" x 23", good condition. 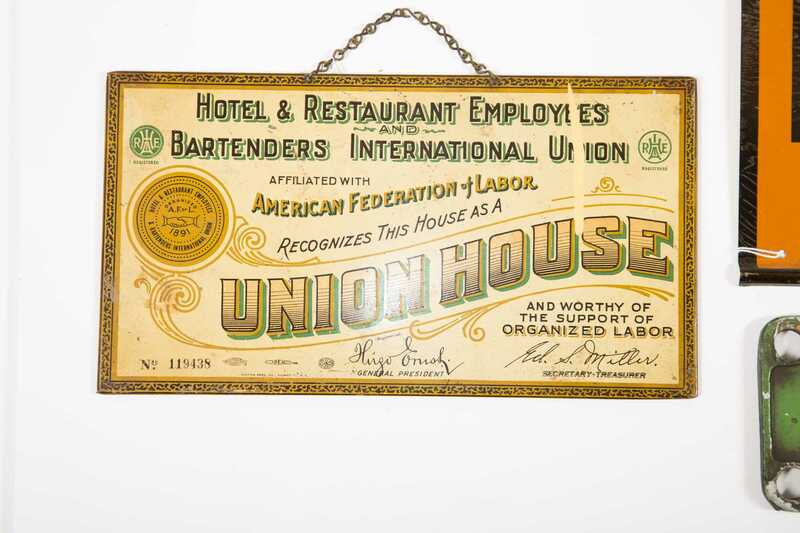 B) "Union Horse" restaurant union sign, 6" x 11", paint drip on upper right, light wear. 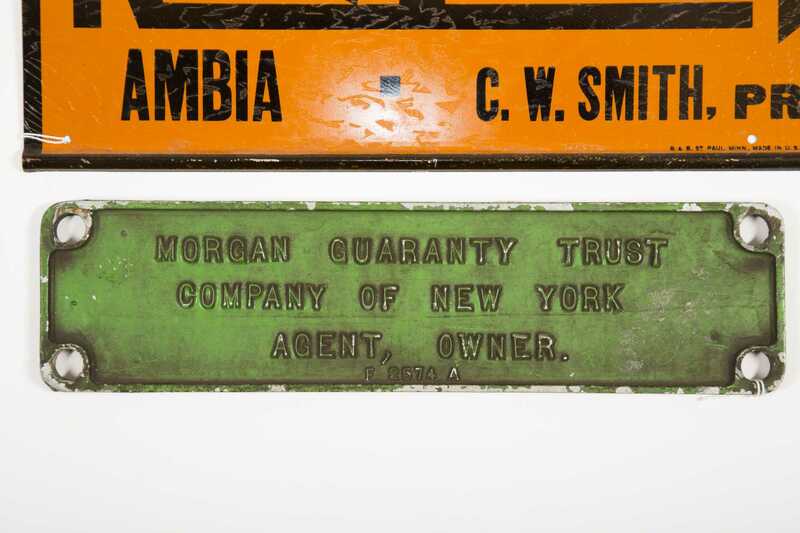 C) "Morgan Guarantee Trust" aluminum sign, 3 1/2" x 13 1/2", surface wear on green paint.